Union Hotels continue with investments in their properties, all to offer their guests a refreshed and complete high-end congress offer. They have re-opening their wellness centre newly run by Andreja Medvedič, the wellness master that has in the past also hosted celebrities like Andie McDowell, Lou Reed, Pink, Ben Affleck and Petar Grašo. In attractive environment with an oriental touch Grand hotel Union offers a holistic approach to care and revitalization of one’s body. They have created a fusion of the finest and most effective elements of both traditional and modern massages and care techniques from all over the world-from Thailand to Philippines. 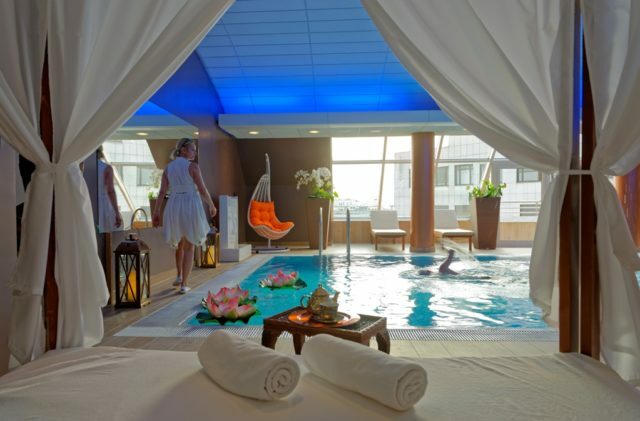 Next to massages and saunas they also offer a luxurious Penthouse swimming pool. Be pampered by the delights of a penthouse spa experience. Featuring an amazing castle view and a pool, our spa is equipped with a VIP room with its own jacuzzi and a sauna, where you can relax in full privacy. ENJOY HIGH-END SERVICES AND PAMPER YOURSELF WITH SOPHISTICATED TREATMENTS. Guests visiting the wellness centre are able to try out their new concept that will make them feel like a celebrity, at least for a day that is. After business obligations, relaxation and unwinding of tired muscles Union style will complete ones perfect day and stay at their hotels.